Einar and Jamex de la Torre create work that challenges our conceptions of art, society, and sanctity. They draw upon the Mexican tradition of dark humor to bear witness to the social injustices that plague our culture. 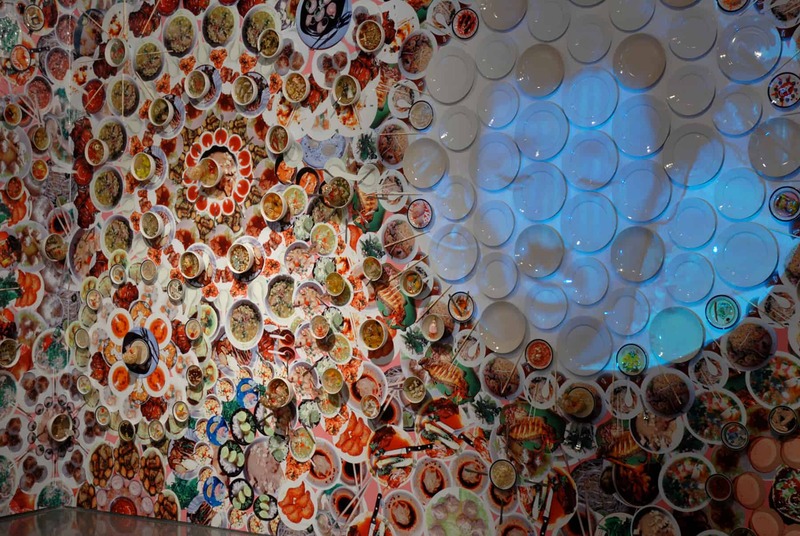 For the celebration of MACLA’s 20th anniversary, Einar and Jamex were commissioned to create an installation exploring the idea of re-conquest or La Reconquista. 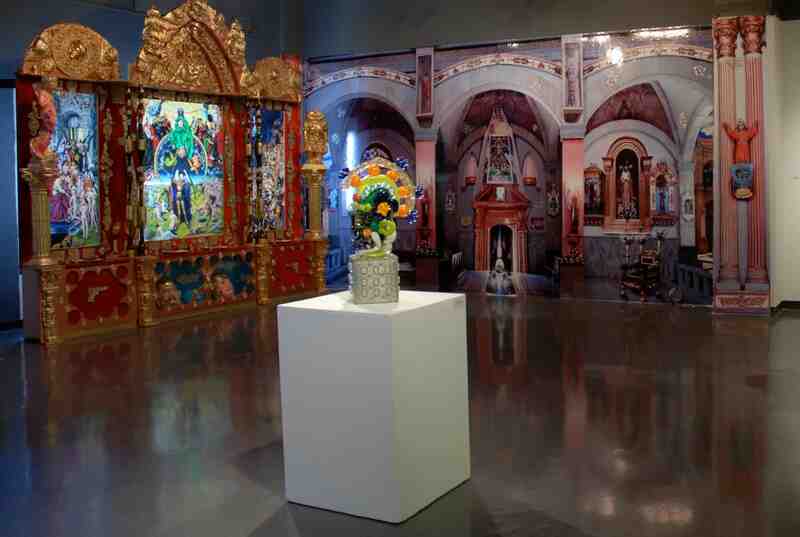 Immersed in a Catholic aesthetic, La Reconquista transports the viewer into a Mexican cathedral. They employ a self-described “ wonderful über kitsch angle” that comes off as “a little abrasive and in your face.” As you stand in front of the church’s main altar, you are surrounded on either side by its colorful stained glass windows, painted arches and wooden pews. A closer examination reveals that the cathedral is a re-presentation of traditional Catholic themes and subjects. In conventional cathedral architecture, the high (front) altar represents salvation through Jesus Christ. In this rendition Jesus is wearing the mask of the Mayan feathered serpent deity, Quetzalcoatl.